Aqua Bath has been a family owned and operated company since 1993. 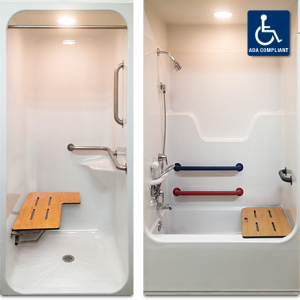 We specialize in a variety of specific needs walk-in tub/showers for the healthcare industry, retirement/assisted living communities and individual home use. Between our sales staff, engineering department and supervisors, we have more than 150 years experience building acrylic tubs and showers, all made in the USA.